Black footed albatross Phoebastria nigripes, Midway Island. Black footed albatross in flight flying over the Midway island coast. 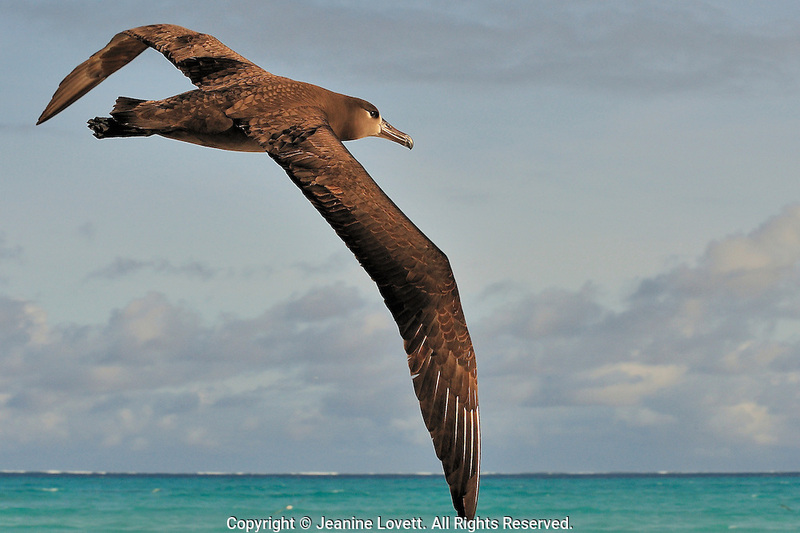 Midway Atoll has the second largest Black-footed Albatross population in the world. This year a tsunami wave created from Japan earth 9.0 earth quake took a heavy toll on the albatross chicks.